MELBOURNE, AUSTRALIA – The Western Roads Upgrade has been awarded one of the infrastructure industry’s highest honours, winning the Financial Excellence award at the 2018 National Infrastructure Awards. 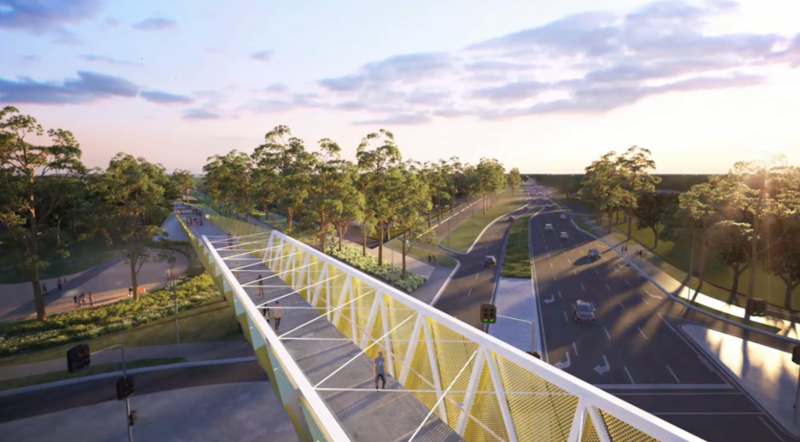 The annual awards, run by Infrastructure Partnerships Australia, celebrate outstanding achievements in the delivery of significant infrastructure across Australia and New Zealand. The judges recognised the unique finance package arranged by Plenary that includes full-term bond finance raised via the US Private Placement market, which marks Australia’s first greenfield bond financing for a PPP since the GFC. The Netflow Western Roads Upgrade consortium – comprising Cintra as joint project sponsor and SPV manager; Plenary Group as financial arranger, joint project sponsor and joint SPV manager; WBHO Infrastructure as design and construction lead; and the Amey and Broadspectrum joint venture as services contractor – contracted by the Victorian Government to design, build, finance and maintain the project for 23 years. CEO of financial arranger Plenary Paul Oppenheim said the awards demonstrates the quality outcomes that can be achieved by taking a true partnership approach with governments. “It’s an honour to be recognised for our work, part of the great work being done by the infrastructure sector more broadly,” Mr Oppenheim said. The A$1.8 billion Western Roads Upgrade project is the State of Victoria’s largest single investment in arterial roads to date, comprising high-priority road upgrades with a comprehensive 20-year maintenance program covering a more than 260-kilometre road network. The accolade follows the project winning the Advisory Excellence award at the 2017 National Infrastructure Awards. See the full list of National Infrastructure Awards winners and finalists.